They called him the king for good reason. Gable dominated the Hollywood box office for so many years they stopped counting. 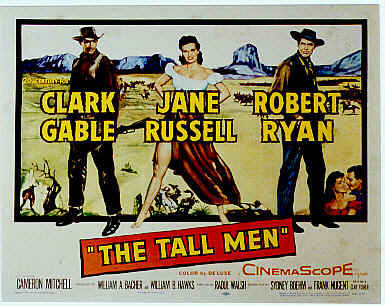 Women swooned at his masculine screen presence and men, well Gable was a man's man. Rhett Butler in Gone with the Wind is probably his most famous role, and you have to give Gable his due on GWTW. He brought amazing emotional substance and a cynical reality to the movie. 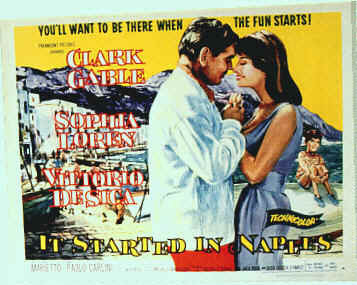 Without Gable I think GWTW with have blown away quietly. Yet, there are so many other memorable roles in the course of more than 80 Hollywood films. Early parts had Gable playing characters named Rid Ridell, Patch Gallagher, and Blackie Gallagher and even Giovanni Severi. His most famous Blackie was Blackie Norton, one of my favorite Gable roles, in San Francisco. I still recall his looking into Jeanette MacDonald's eyes and saying "I like to look into those big lamps of yours." For a number of years after seeing San Francisco I was in love with MacDonald. I even sat through all those interminable Jeanette MacDonald/Nelson Eddy light operatic musicals, tramp, tramp, tramp. 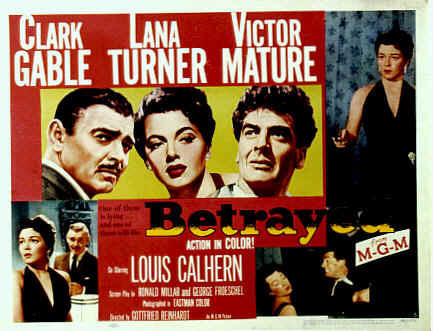 Blackie Norton was a tough guy with a dark side, just as Rhett Butler was a tough guy with a dark side. Both characters found softness buried under their masculinity. 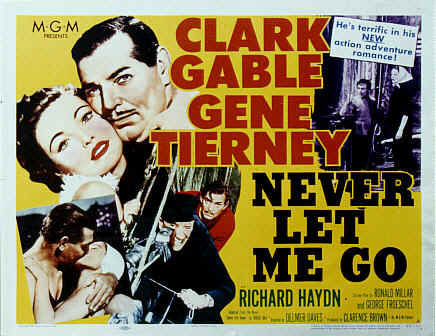 There were other great roles that Gable created on the screen. Fletcher Christian in Mutiny on the Bounty lives in the pantheon of movie heroes, and in Jack Thornton in Call of the Wild, Gable played loves scenes with Loretta Young and a dog to boot. Who could have guessed that a comic role would vault Gable to Hollywood stardom. It Happened One Night set off Hollywood fireworks for virtually everyone associated with the movie. 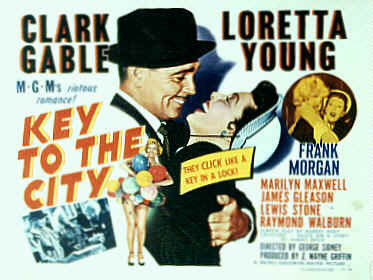 Frank Capra's delightful road movie paired Gable with Claudette Colbert to deliciously spoof the foibles of the wealthy. 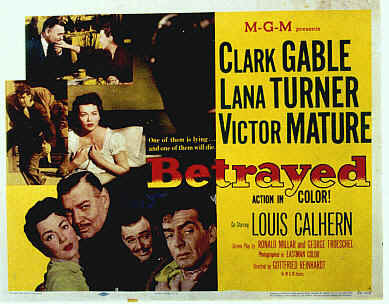 Gable gets Best Actor, Colbert Best Actress, Capra Best Director, and Columbia studio head Harry Cohen Best Picture and carnal access to more aspiring actresses than Hollywood could accommodate. Not everything Gable touched turned to gold. I can't help twittering when thinking of Gable as a song and dance man in Idiot's Delight, a dull MGM attempt to make Norma Shearer and Gable a hot screen item. Gable even awkwardly sings and dances his way through a version of "Puttin' on the Ritz" that will forever be linked in my mind with Peter Boyle's Young Frankenstein performance of the same number. I am not sure who was stiffer. 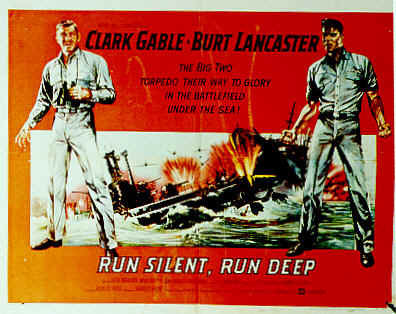 Rugged Clark Gable was at home in many screen roles. The adventurer suited Gable especially well as played out in Gone with the Wind or Soldier of Fortune. He did plenty of work in uniform as a seafaring man in Mutiny on the Bounty, China Seas, or Adventure and under water in Run Silent, Run Deep. Westerns were a perfect fit. 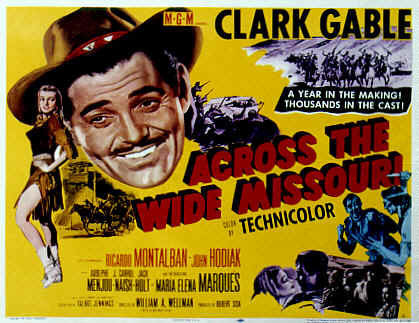 Films like The Misfits, The Tall Men, Honky Tonk, Across the Wide Missouri, King and Four Queens or Lone Star were all solid Gable vehicles. Personally, I liked Gable best as a newspaper man. Tough, worldly, and fair, with a great sense of humor and an eye for the ladies, Gable in the newsroom worked for me. He was reporter in It Happened One Night and Love on the Run, a journalist in Teacher's Pet, a foreign correspondent in Comrade X, as an editor in After Office Hours, a newsreel report in Too Hot to Handle, a war correspondent in Somewhere I'll Find You, and an American journalist in love with a Russian ballerina in Never Let Me Go. Pretty good credentials if you ask me. Married five times, Gable's most glittering union was with actress Carole Lombard which ended with the tragic plane crash that took her life. Joan Crawford teamed with Gable eight times, more than any other actress. 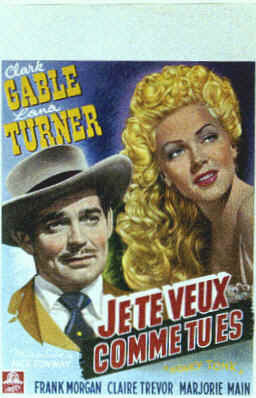 Jean Harlow traded banter with Gable in six starring roles and probably would have kept bickering save an untimely death. 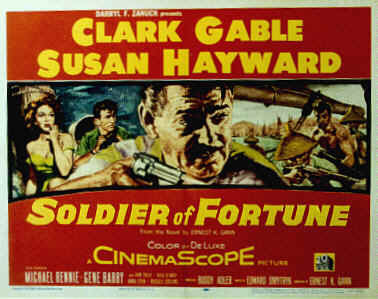 Lana Turner shared the marquee with him four times. He worked twice with Loretta Young, twice with Claudette Colbert. His final film, as he was approaching sixty, was The Misfits, opposite Marilyn Monroe, and man, did they ignite screen sexuality. 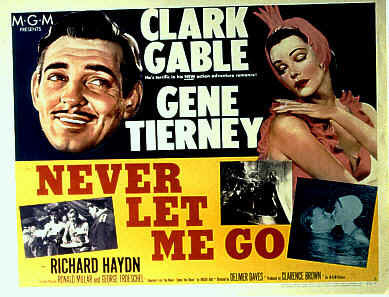 There's not a lot of Clark Gable on DVD as yet. As the close of 1999 approaches, only Gone with the Wind and Run Silent, Run Deep are currently available on the little shiny discs. It Happened One Night is scheduled for release on December 28th. Hopefully, this will be a restored print since the last release on laser disc was painfully short of visual quality.